Keeps skin soft supple and smooth. Light sesame oil and precious sea buckthorn together protect and penetrate quickly without leaving an oily layer on the skin. 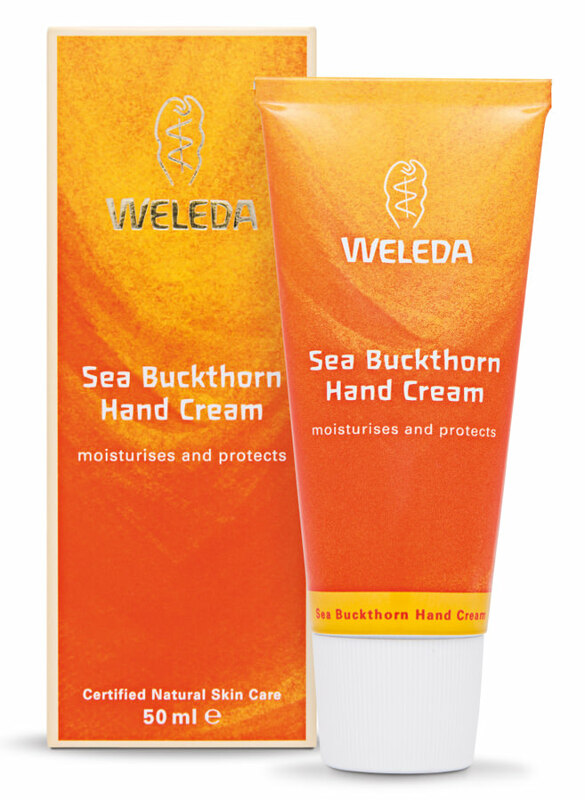 The vitamins and unsaturated fatty acids in Sea Buckthorn Hand Cream help protect the hands from dehydration: dry hands are softened becoming more supple and smooth. The combination of precious Sea Buckthorn Oil and gentle Sesame Oil supports the natural functions of the skin and helps restore the hydro-lipid layer. The essential oils provide the fresh fruity fragrance. 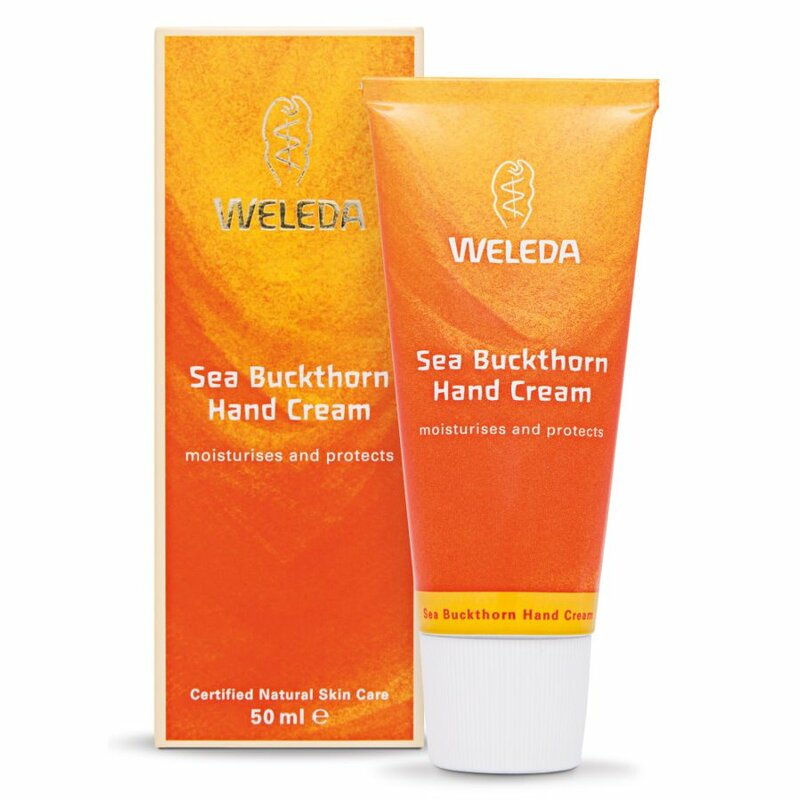 Light and creamy Sea Buckthorn Hand Cream penetrates quickly without leaving a greasy film. Used daily this rich cream helps to rediscover your hands natural softness. 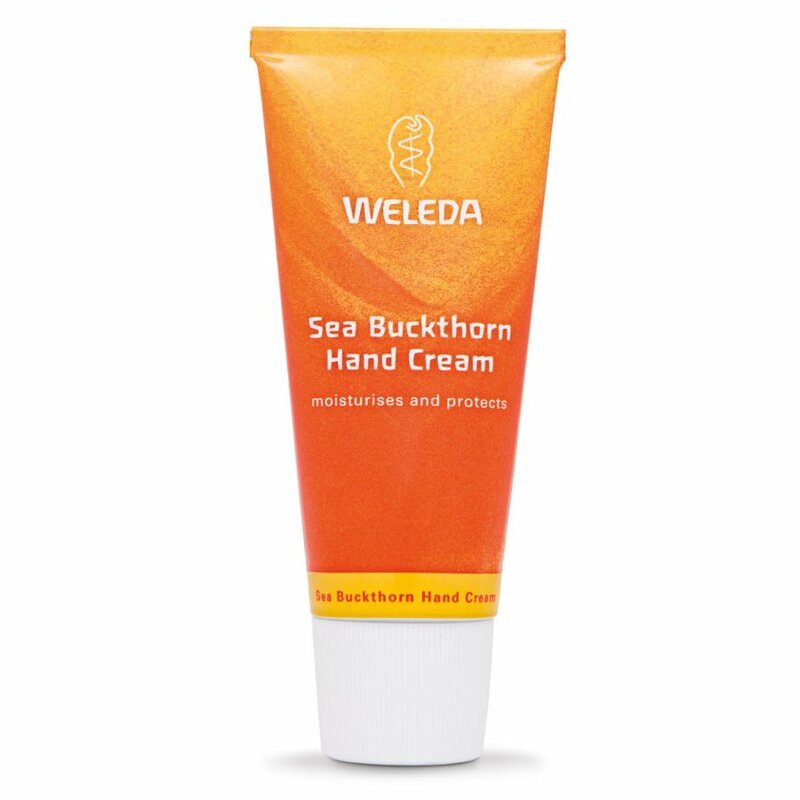 Directions for use: Use Sea Buckthorn Hand Cream daily. Apply a small amount to the hands and massage until completely absorbed. Ingredients: INCI: Water (Aqua) Sesame (Sesamum Indicum) Oil Alcohol Hydrolyzed Beeswax Tapioca (Manihot Esculenta) Starch Lysolecithin Beeswax (Cera Flava) Glyceryl Stearate SE Sea Buckthorn (Hippophae Rhamnoides) Oil Fragrance (Parfum: natural essential oils of Grapefruit Litsea cubeba Mandarin Sweet Orange Sandalwood Ylang ylang) Xanthan gum. 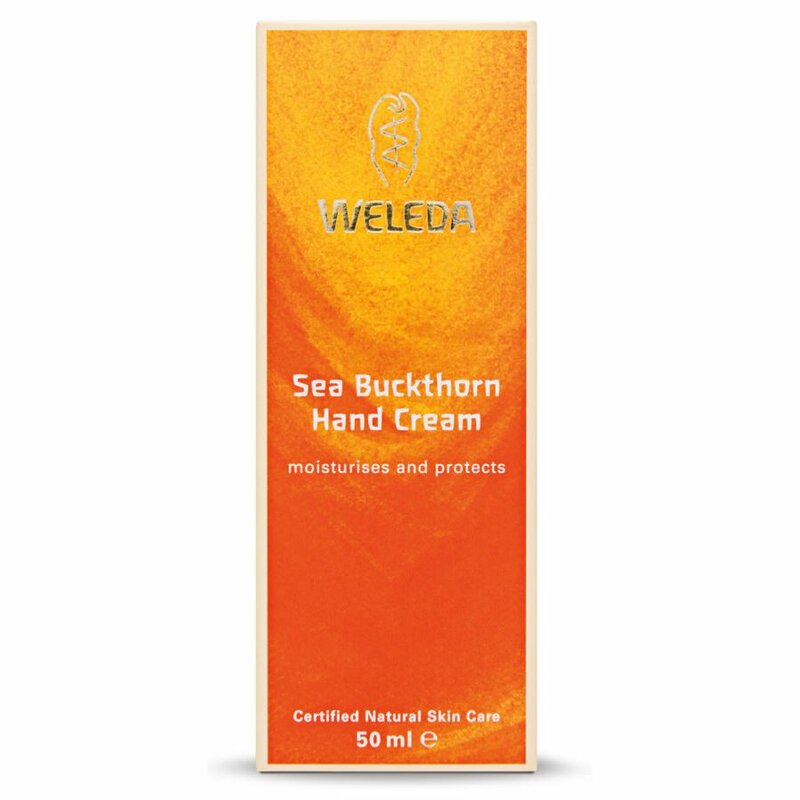 There are currently no questions to display about Weleda Buckthorn Hand Cream.